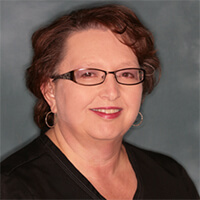 Pam has been in the dental profession since 1981 and is a member of the Academy of Laser Dentistry. She was a dental assistant, and she enjoyed working with and caring for patients so much, she decided to further her education. 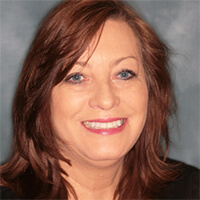 Pam attended East Tennessee State University where she received an associate's degree in dental hygiene. She has worked with Rogersville Family Dentistry since 2000. She feels truly blessed to be working in a highly-motivated and technologically-advanced office that offers paperless, digital imaging, and CEREC crowns. Pam has taken too many courses to count, most recently at the Nash Institute where she studied new standards in restorative and periodontal care, cosmetic and aesthetic dentistry, and scientific facts on genetics in periodontal treatment. Pam has a great following of patients due to her outgoing, friendly, and caring personality. Each patient is special to her and like her own family. In her spare time, Pam enjoys being a personal chef for her large family and spending time with her grandchildren. 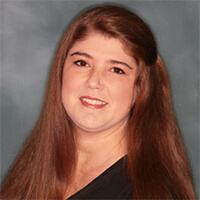 Charlotte has worked with Dr. Gunnin for over 16 years, and is an invaluable member of our team. She earned her bachelor’s degree in business administration from Tusculum College and her RDA certification from Walters State Community College. Charlotte loves our energetic practice atmosphere and the fact that Dr. Gunnin provides excellent patient care, all while constantly improving our office with the latest in dental technology. Charlotte is very much a people person, and she enjoys working with the public and getting to see our patients leave satisfied. Her interests outside of dentistry include shopping, reading, traveling, and spending time with her three boys and her husband. 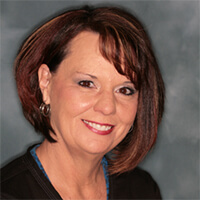 Patti earned her RDA certification in 2012 and has been in the dentistry field since 2007. Her cheery personality and love of working with people make her a perfect fit for her position. She is always going out of her way to ensure that our patients feel welcomed and comfortable, and that their experience with our practice is a pleasant one. Some of Patti’s favorite things in life are spending time with her husband and family, riding motorcycles, prayer, and laughter. 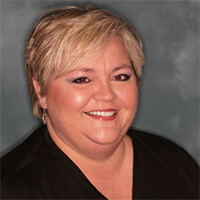 Melissa has been a registered dental assistant since 1990 and has been with Rogersville Family Dentistry since 2004. Melissa has taken several continuing education classes, which include cosmetic dentistry with PAC-Live in San Francisco, California, basic and advanced courses in straight-wire orthodontics through the American Orthodontic Society in Atlanta, Georgia, and advanced training coronal polishing and nitrous oxide monitoring. She enjoys assisting in the cosmetic aspect of the practice. The most rewarding part of her work is seeing how new smiles can change lives. In her spare time, she enjoys spending quality time with her children. 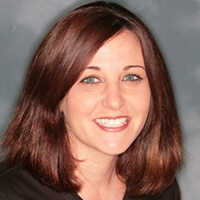 Jennifer joined the team at Rogersville Family Dentistry in July of 2013 and has been in the dental field since 1999. She received her education from the Alabama Dental Hygiene Program. She loves the fact that our practice is so dedicated to our patients and that everyone is very professional and courteous. Jennifer genuinely enjoys helping others and serving our community. She is married and has three wonderful children. Her interests outside of dentistry include attending church and singing. Lisa became a member of our team in 2014 following her graduation from Walters State Community College. She loves the sense of dedication and commitment that the entire team shares when it comes to each patient’s oral health. Everyone on our staff works together to help our patients achieve the smile they want. Lisa's genuine desire to see each of our patients reach their oral health goals makes her a perfect fit for her job. When she's not assisting the doctor with patient treatment, Lisa enjoys reading, family vacations, and just spending quality time with her loved ones.